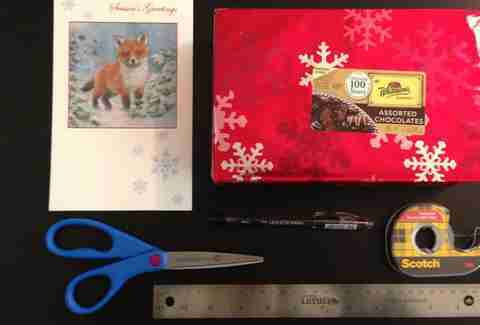 How do you make some last minute drug store-bought items into a gift that's good enough to go under the tree? 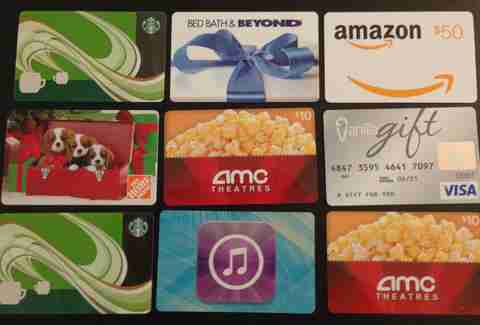 Buy a bunch of gift cards and follow the steps below. 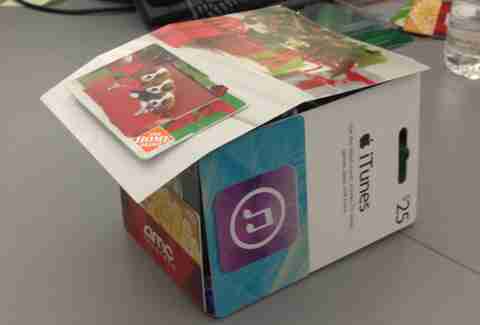 Important Tip: You must take the cards out of their respective wrapping, otherwise you'll end up with something that looks like the sad construction pictured below. 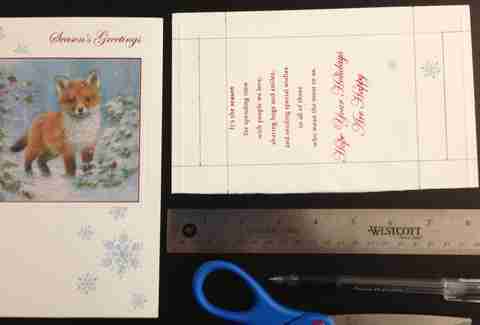 --Cut the greeting card in half. 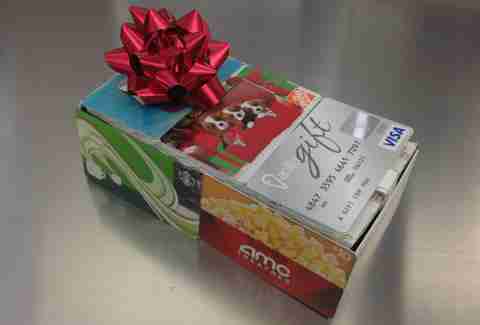 --Use the back half and construct a box that’s two gift cards long by one gift card wide. This means drawing margins that were 3/4 of an inch along all four sides. 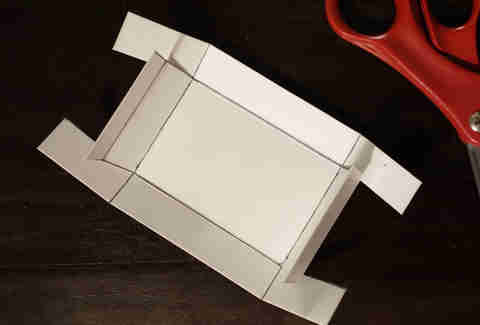 --Cut four slits--two at each end--and fold the sides up along the margin, while using the four outer tabs to tape the inside together. 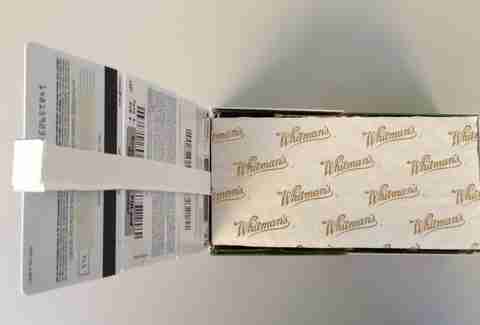 (Full disclosure: The photo above is one of the deconstructed test boxes. 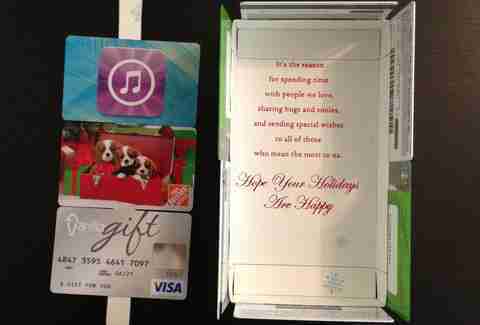 Cut a thin strip of paper from the other half of the gift card. 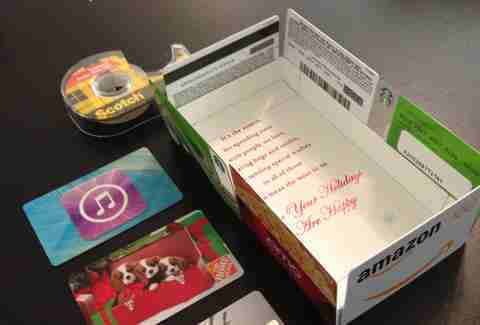 Tape the three cards to the paper, then fold the top end of the paper over and tape it to the top of the box. 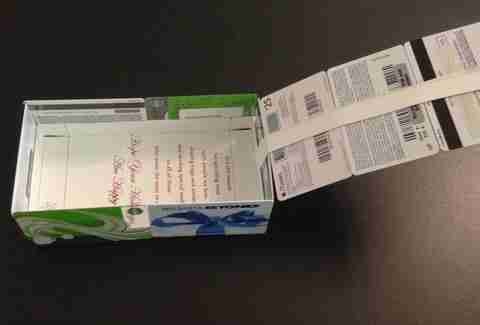 Fold the extra bit of paper over on the other side to make a little tab for easy opening and closing. Pat yourself on the back. 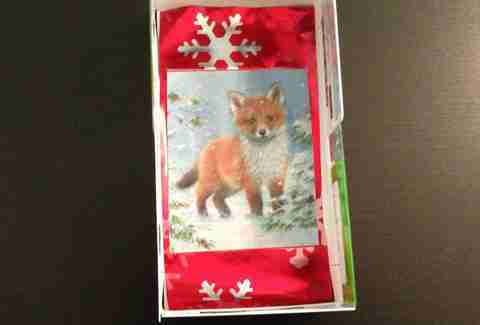 The box is now built. 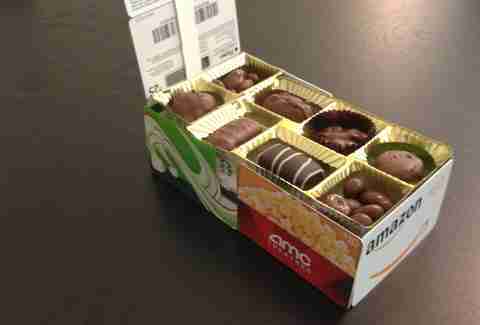 Take a tray of chocolates and cut two sets of 2x4 rows. Toss a bow on it and you’re done. 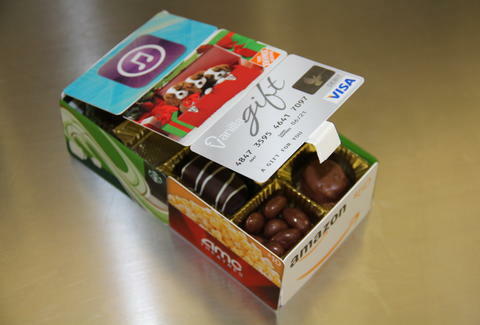 Reward yourself with the remaining chocolates. You earned them.